Inflatable Christmas tree is a blow up tree Christmas yard decoration, continuously pumped up by blower and anchored by stakes. Blow up Christmas trees often come with LED lights inside, so are able for both day and night use. Set up an inflated tree just take around 10 minutes. 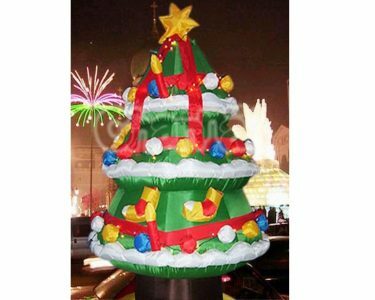 Inflatable Xmas tree can be used for decorating indoor house, yard, lawn, street, block, party, church, outdoor event, even promotions and sales. 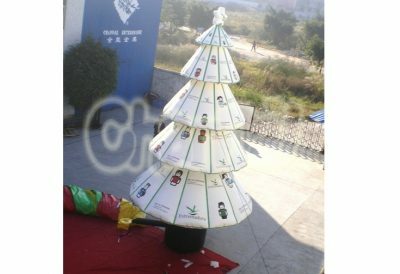 Giant inflatable Christmas tree help you easily earn attentions during holiday. There are also animated inflatable Christmas trees that would rotate left and right. 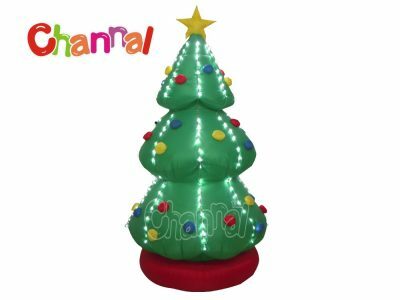 Channal Inflatables is a professional inflatable Christmas tree manufacturer and wholesaler in China. 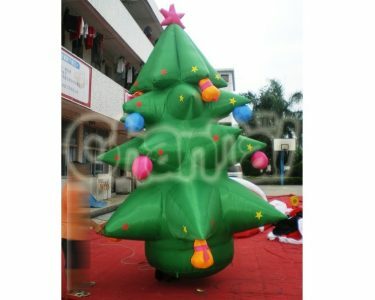 We have inflatable Christmas tree for sale and wholesale at a cheap price. We are able to customize your items, include color, size, theme (like minion) and design. We can also produce santa claus inflatables to match the trees.